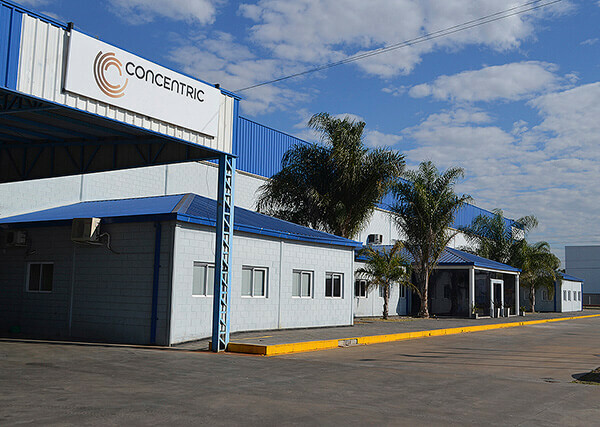 Concentric AB completed the acquisition of Concentric Chivilcoy SA in January 2015, a supplier of engine pumps in South America, strengthening Concentric’s presence in the region. Concentric Chivilcoy SA has a production facility of 10,600m2 in Chivilcoy, Argentina that provides an important foothold in the Mercosur trade union, thereby enabling further penetration of the South American market. The business was established in 1959 and relocated to new, purpose built premises in 2008. The plant is ISO/TS 16949, ISO 14001 and ISO 18001 certified. The plant has several core processes which include, Aluminium injection, CNC Machining; Shaft machining and grinding Sinter metal processes and assembly and test cells. The above capabilities will allow for synergies within the group, currently these processes are outsourced to external sources. The plant employs 166 people producing more than 750,000 pumps annually, predominantly manufactures oil and water pumps for Renault, Volkswagen, Scania, MWM and John Deere alongside powder metallurgy sintering and casting facilities.